Many of our students come back every year to meet new friends and connect with old ones here in Lausanne. 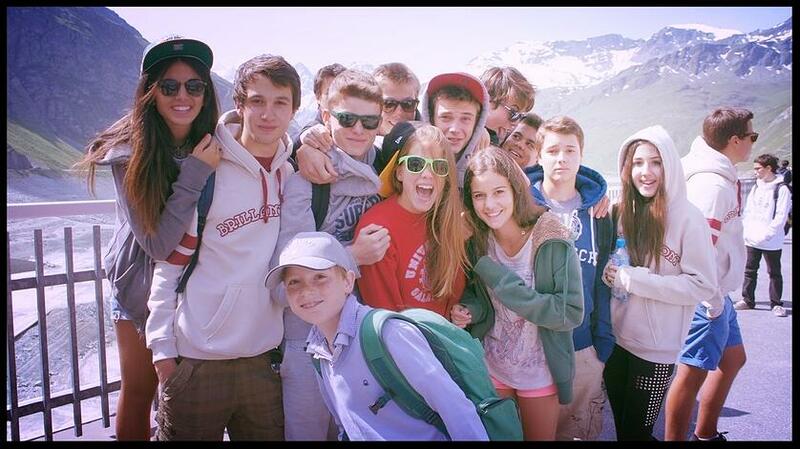 Swiss summer boarding school can be a great way to introduce your child to living and studying abroad. Sometimes the summer course is a child’s first time living away from home. They get accustomed to a new country and being supported and taught by a close knit boarding school community. The following are some of the top reasons why you should consider summer boarding school for your child. Switzerland is known worldwide for its exceptional atmosphere of security. Families have chosen to send their children here for their education for centuries. A haven within Europe, Switzerland has been the home of many international businesses, financial institutions, and schools for this very reason. At summer boarding schools in Switzerland, your child is kept under careful supervision, while still given the support to explore their independence. Security on campus at Brillantmont International School during the Summer Course is a top priority. All the buildings are locked at night, the grounds have secured gates, and a guard is on duty. In addition, boarding school staff live in the dorms with the children and a school nurse is always on call. During summer school, students also take a lot of field trips and do sporting activities off campus. While on these outings, a number of staff members accompany the students and careful consideration is given to the types of field trips the school takes every year. The structure of summer school varies from boarding school to boarding school in Switzerland. Some focus more on academics and others are purely full of fun activities and adventures outdoors. Brillantmont has found that a combination of both is ideal. Every morning during our Summer Course students attend language classes, and in the afternoons, the time is spent trying all kinds of sports, exploring the incredible outdoors, and going on more extensive field trips. This offers a wonderful academic/non-academic balance that students and parents alike love. Whether you live in Switzerland or arrive from abroad, boarding school staff meet your child at the airport or train station and transport them directly to the school. Brillantmont has students from all over the world attend our Summer Course and meeting them as soon as they arrive to welcome them into our close knit school community is important to us. The large international airports in Geneva and Zurich offer daily direct flights to all corners of Asia, North America, South America, Europe and Africa. Travel around Switzerland during the summer boarding programme is also easy. We either take a private coach or public transportation with the students to go hiking in the mountains, visit museums in town, go sailing on the lake, or shopping in nearby cities. Brillantmont International School has a long history of running summer programmes. We are the only independently run family boarding school left in Switzerland and because of this, we still remain close to our family values. In the past number of years, many international summer school courses have been bought out by financial institutions and are no longer run by the experienced families that started them. Those decades of experience give Brillantmont an advantage because our programme has been tested by time. Changing administration and ownership can cause a lot of upheaval and disorientation in a school. By avoiding this over the decades, Brillantmont provides stability to its families. We have been able to strike the perfect learning/playing balance while maintaining a family atmosphere, a home away from home. One of the biggest benefits of attending summer school abroad is the exposure students get to another culture. Not only do they get to explore Switzerland and the incredible opportunities it has to offer, but they also meet other young people from every corner of the earth. At Brillantmont we have students from places like South America, Easter Europe, the UK, China, different countries in Africa, North America, and Russia - to name just a few. The connections built at summer school abroad last a lifetime. Former students that are now working professionals talk of their memories of the Summer Course at Brillantmont and how it sparked their curiosity of the world and the diverse array of people in it. Are you interested in finding out more about summer school in Switzerland? Check out our summer school in switzerland free ebook that explores this topic further. If you have any more questions, please do not hesitate to contact us directly.